The observed curve of life expectancy by age seems to be coherent at the oldest ages until about age 107, when the extinct generation method is used. Beyond that age, however, improbably large uctuations call into question any results directly derived from vital statistics, which appear to suggest that life expectancy at 110 is higher than life expectancy at 107 (2.29 years versus 1.73). 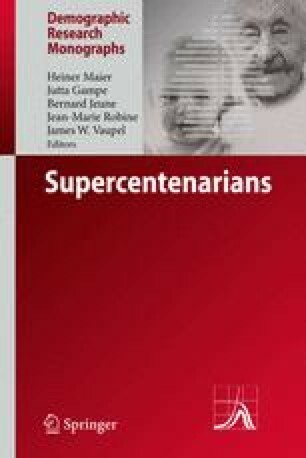 A careful study of validation of age at death of all French supposed supercentenarians, undertaken in the framework of the International Database on Longevity (IDL), has established a life expectancy at 110 of 1.76 years, which is a much more realistic figure, if still slightly overestimated. The authors also show that it is possible to improve estimates directly derived from vital statistics by simple intuitive correction of some obvious defects. While such an approach still results in an obvious overestimation of life expectancy at 110 (2.0 years), estimation becomes more accurate each time new cohorts enter the field of computation.